This past April 6, young people throughout the country participated in the first electronic elections for Costa Rican youth. Children aged six and above had the opportunity to “choose” the nation’s next president. Local retailer -Gollo Shops- served as polling places for these elections. The polling places were open from 9:00 a.m. until 4:00 p.m. in 85 stores located in the country’s various provinces. It was a successful activity in encouraging people to exercise their vote. The initiative earned the support and participation of the Supreme Council of Elections (TSE) and the Institute for Democracy Training and Studies (IFED), which helped to foster the civic values of Costa Rican children and teenagers. All of the children carried out their votes via electronic ballots connected to tablets. 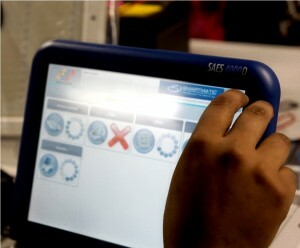 The votes were counted electronically.